Waycross is located in the heart of Southeast Georgia, at the northern tip of the Okefenokee National Wildlife Refuge. It is a city filled with Southern hospitality and charm. From the Historic Downtown district to the swamplands of the Okefenokee, there is something for everyone. Visitors can experience the traditional down-home cooking at the local restaurants and slip away into comfort at one of several accommodations. Attractions such as the Okefenokee Swamp Park and Obediah’s Okefenok, give an in-depth look at a one of a kind ecosystem, including the wildlife, plant-life, and pioneer life in the area. Train enthusiasts can catch a glimpse of the train traffic coming in and out of the second largest computerized yard for CSX in the U.S.
For those who love history, there are the Okefenokee Heritage Center and Southern Forest World museums and a Historic Walking Tour guide book available for the Downtown area. Waycross began as a crossroads for southeastern travel. We were first a hub for stagecoach traffic, and then became a center for the railroad when it laid its tracks in the mid 1800’s. As the Plant System Railroad started to grow, so did the town surrounding it. Streets were placed in the pattern of the Maltese Cross which was part of the Plant System Railroad’s logo, and a new city was born. It is said that someone traveling with the Railroad gave Waycross its name, because he stated that this was “where the ways crossed”, others will claim that Waycross was so named because it was “the way of the cross”, due to numerous churches being built here in those days. We have the largest CSX computerized rail yard on the East Coast, which means that Waycross is still the center of all rail traffic coming through the southeast area. The Historic Passenger Rail Depot was built in the early 1900’s to replace the original depot that was destroyed by fire after a train derailment. This building was restored in 1998 to house the Waycross Tourism Bureau and Visitor Center, the Waycross-Ware County Chamber of Commerce, and other local offices, which are still there today. Other parts of the Historic Downtown area are also being refurbished. 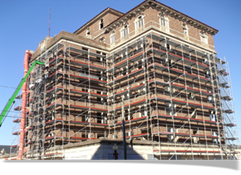 The Railway Express Agency (REA) building was restored in 2001 as a 400-seat banquet and reception hall, and one of the oldest hotels in Waycross, The Phoenix Hotel has recently undergone a $7.4 million dollar renovation to become corporate offices for the Jones Company and new store fronts. Besides the Railroad, Waycross has a few other claims to fame. It is the north entrance to Okefenokee Swamp; a 450,000 acre National Wildlife Refuge that has a one-of-a-kind ecosystem, found nowhere else in the Besides the Railroad, Waycross has a few other claims to fame. It is the north entrance to Okefenokee Swamp, a 450,000 acre National Wildlife Refuge that has a one-of-a-kind ecosystem, found nowhere else in the world. Waycross was also home to “The Green Frog” restaurant, which was built here in the 1930’s by the Darden brothers, who went on to open a famous chain of restaurants called “Red Lobster” which have just opened here in Waycross. Other historical facts about Waycross include being the childhood home of Pernell Roberts, Gram Parsons, and Ozzie Davis, the birthplace of Burt Reynolds, and home to two of the largest frozen food industries in the country. 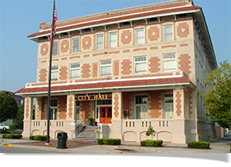 Waycross-Ware County is a place of business and industrial development and southern hospitality. Visitors can enjoy learning more about the history of our area by stopping at the Visitor Center to pick up a Historic Walking Tour Booklet and taking a stroll through Downtown. You can also visit our two museums to learn more about the pioneer, Native American, and environmental history of the area.